Bloggers are poised to get legal knowledge on what laws can be used to charge them, thanks to a training hosted by the Bloggers Association of Kenya. 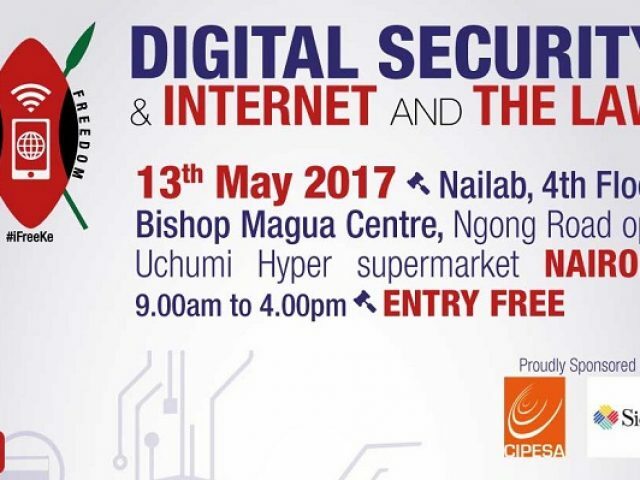 The training to be held in Nairobi and Kisumu will see bloggers gain knowledge on what not to post, the rights of arrested persons and the legal framework governing the internet. Human rights violations incidents are on the rise in Kenya with extrajudicial killings and police brutalityamong the cases reported recently. Social media has enabled quick reporting of such cases while also creating increased awareness of the reported incidents. Through a mix of Twitter, radio and physical engagements, the Kenya Human Rights Commission (KHRC) is improving its effectiveness in promoting human rights and documenting violations in the lead up to the 2017 national elections. The commission is seeing success in mobilising citizens for protests and marches, as well as getting stakeholders to participate in debates related to human rights. Through quarterly Twitter chats, the KHRC is popularising various human rights issues and bringing to the fore struggles faced by communities that have little online presence and who have limited avenues for participating in community affairs. The eSociety Resource Centre Kasese is a community centre hosted by the Kasese district local government in Western Uganda. It acts as a one stop point for local government officials and community members to access various Information Communication and Technology (ICT) tools and services. The centre provides ICT training programmes, hosts an information library, runs an onlinediscussion group, maintains a news blog and social media accounts (Facebook, Twitter, Youtube). These are all aimed at enhancing citizens’ competence in monitoring government services, promoting accountability, civic participation and good governance in Kasese District.